There are four mini-markets in the village of Esentepe, just 2-3 minutes drive up the hill stocking all your basic holiday needs - groceries, fruit and vegetables, water, alcohol, etc. The petrol station on the main road - just 300 metres walk from the villa – sells some very basic food and drink items including water, limited wine, bread, fruit juice, canned drinks, crisps, and bread (open 7am to 9pm). There is an excellent fruit & vegetable "stall" at the Esentepe crossroads, 100 metres walk from the villa. There is a large Tempo supermarket about 2-3 minutes’ drive from the villa on the road to Bahçeli going east. This has a very good range of food, drink and household/personal items with some baby and gluten-free foods. These include excellent fresh meats, cooked meats (hot & cold), pastries, and a large deli counter. There is also a medium sized supermarket (Sençag) about 3 minutes’ drive from the villa on the road to Girne (Kyrenia) going west. There is a butcher's shop in the village of Esentepe and a pork butcher in Çatalköy. There is a ladies hairdresser's salon up the hill as you enter Esentepe village and another in the village centre. A new barber’s shop is also in the centre of the village. Tumba Restaurant - Located near the entrance to Esentepe village, the restaurant offers local dishes at reasonable prices. A small meze selection comes within the price. There is also a small bar. Wi-Fi internet access. Remzi's Restaurant - This is a friendly family restaurant located in the centre of the village up on the second floor and roof terrace of the building. Local dishes and fish are on offer - all served (except pizzas) with cold and hot mezes within the meal prices which are good value for money. Give their chocolate brownies a try! Takeaway pizzas also available. Chicken night on Tuesdays (bookable) and clay-pot night on Fridays (bookable). Wi-Fi internet access. Esentepe Restaurant - Found up the hill at the entrance of the village, the restaurant has great views of the mountains and sea. While it has a limited menu, the food (and especially the bread and chicken shish) is good and represents great value for money. SeaWise Restaurant & Bar – This friendly restaurant is just 2 minutes’ drive from the villa – to its east – adjoining the Alkan Holiday Village. Medium priced meat, fish, pasta, vegetarian and children's dishes. Also provides Cypriot and English breakfasts from 9 am. Occasional entertainment. Antique Restaurant - Restaurant located on the main road going east - about 3 minutes' drive from the villa. Extensive Á la Carte menu. Serves both local and international cuisine and caters for children & vegetarians. Expect to pay a bit more than village restaurants. Very limited desserts. Moonshine Restaurant & Bar - This is about 3 minutes' drive away from the villa heading towards Girne (Kyrenia) and located about 300m up from the main road on the road to Karaagaç (near the speed camera). Good medium priced food with chicken stuffed with bechamel sauce as one of its specialities. Breakfasts also available. Tuncay'In Yeri Restaurant & Bar - This friendly restaurant with good table linen is situated on the opposite side of the road to the Sençag supermarket about 3 minutes drive away from the villa heading towards Girne (Kyrenia). While not having a vast menu, the quality is very good and reasonably priced. Try the excellent 5 meats kebab dish and superb home-made mezes! Windy Hill Restaurant & Bar –Located at top of hill just before village. Basic English fare. Entertainment or quizzes normally weekly. Bar billiards and Sky Sports football. Wi-Fi internet access. Tora Brasserie - (Opening Nov 2018) Expected to be an upmarket restaurant with higher prices than most local eateries. However, quality of fare should be excellent as restaurant is owned and has been developed by the English proprietor of the highly rated Efendi Restaurant in Kyrenia (Girne).Wi-Fi internet access. Spice Garden (previously Jashan's) Indian Restaurant - This is located 7-8 minutes drive from the villa near Bahçeli to east. The menu includes Indian, European dishes and children's dishes. Small restaurant indoors but caters for 80 outside during summer months. There are linen table cloths and chair coverings and the staff are very welcoming. The food is very good, well served, and moderately priced. Takeaways available with free delivery. Live Premiership football in adjoining bar with chips at half-time!Wi-Fi internet access. Stevie’s Restaurant and Bar –Located at Kuçukerenköy, about 10 minutes' drive from the villa off the main road going east. Mainly European menu with some traditional Turkish dishes. Good medium-priced food. Wi-Fi internet access. Joya Restaurant - This restaurant is located at Kuçukenrenköy, about 10 minutes' drive from the villa on the main road going east. Rather bizarrely, it is set in an area of apartments with no great views but notwithstanding that, it is a quality restaurant with an extensive menu offering really good food and service. Expect to pay a bit more but still good value for the quality on offer. Wi-Fi internet access. Sea Breeze Restaurant – Located by the sea at Kuçukerenköy, about 10 minutes’ drive away, this is a favourite with many people in the area but has mixed reviews. Average menu and prices. Regular quiz and music nights. Closed Thursdays..
Bar-B Restaurant – Located in the far east of Kuçukerenköy, about 13 minutes' drive from the villa on the main road going east. Only average food. Asian orientated medium-priced menu. Benoz Restaurant – About 14 minutes’ drive away in Alagadi village to the west. Modest restaurant with attractive Turkish décor. Menu principally fish and kebabs. Has had good reviews from Alagadi locals but we personally found it disappointing. Maybe best during summer months when diners can sit outside. Korineum Golf & Country Club - This is found only 4-5 minutes drive from the villa going west. Up-market restaurant with an à la carte menu. Expect to pay more accordingly but enjoy wonderful views over the golf course and the mountains. Alternatively, drop in for a drink on the terrace. Wok & Roll – Opening May 2019 - Adjoins the Tempo supermarket about 3 minutes' drive from the villa - to its east. It is primarily an Asian food takeaway with a small restaurant attached. English speaking owners. There is a branch of the Limasol Turkish Cooperative Bank, complete with ATM, in the centre of Esentepe village. This is a friendly bank with few queues where you can also exchange your currency with ease. There is also an ATM booth dispensing Turkish Lire in the garage forecourt, 300 metres away from the villa. The nearest Bureau de Change is in Çatalköy opposite the Cratos Hotel. 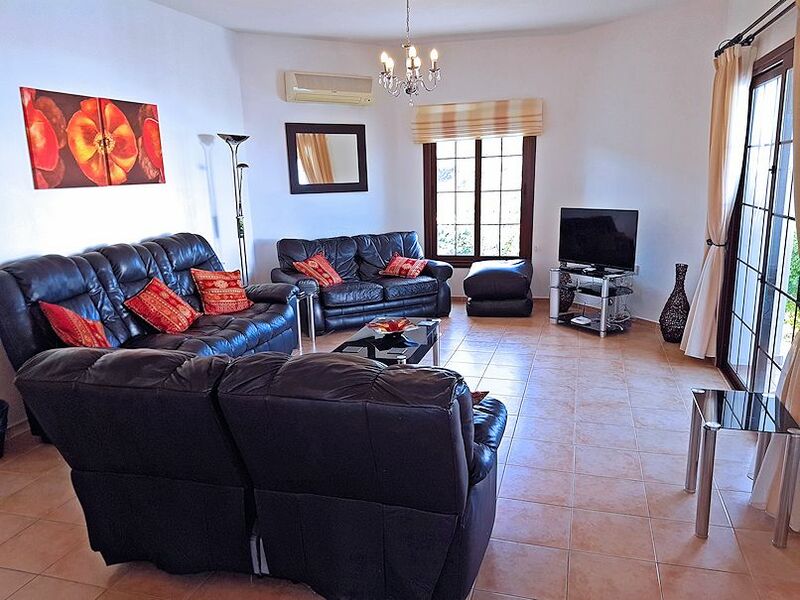 A petrol station is located on the main road, just 300 metres from the villa. Other petrol stations can be found at Çatalköy and on the road into Girne (Kyrenia). There is a medical centre in Esentepe village, close to the Moonlight restaurant. In the case of emergencies and an ambulance is required, there is a Red Crescent station (equivalent to the Red Cross), up the hill by the entrance to the village. The nearest chemist (pharmacy) is next to the Sençag supermarket about 3 minutes drive away from the villa towards Girne (Kyrenia). It is well stocked with baby and cosmetic products and owners speak excellent English. A defibrillator is sited on the wall outside the pharmacy and another on the wall of the Council Offices (Belediyesi) in the village centre. Supermarkets stock basic medical items. Apart from free internet access in Jasmine Villa, if you have your own laptop/tablet/smartphone, free wireless internet connections are available at most of the local bars and restaurants. The Korineum Golf & Country Club ( website ) is situated just 4 minutes drive westwards. This beautiful lush 18-hole championship course uses the Besparmak mountain range as a stunning backcloth. Visitors can enjoy either the complete 18-hole course, or just 9 holes, or the driving range. A golf shop and tuition are also available as well as a bar and restaurant. Further, spa and various massage & body treatment services are available, the latter including facial and nail care. Entertainment in the Esentepe area largely consists of periodic live music, singers, karaoke evenings, quiz nights and live TV sport. This takes place in bars and restaurants within a few minutes drive of the villa. Consult "What's on Where" (internet and monthly published guide) to tell you what's coming on at the various establishments. 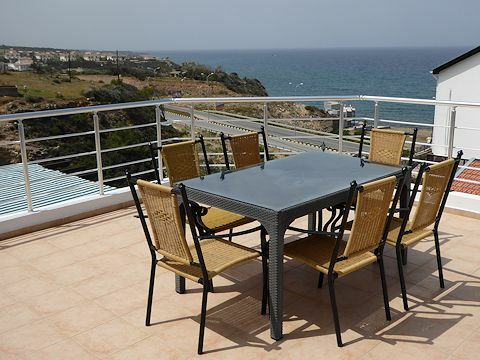 The Resort is situated approx 15 minutes drive from the villa going towards Girne (Kyrenia). For a daily fee, visitors can enjoy the private sandy beach, extensive heated pools and water slides for children and adults, casino, and other facilities. Additionally, the Resort contains probably the most luxurious spa and wellness centre in Northern Cyprus with a menu over 80 different treatments and therapies for both sexes in tranquil surroundings (separate charges apply).